The Official Transformers Collectors' Club! March 2019 update - G.I. Joe Collectors' Club Archive and Clearance Sale! 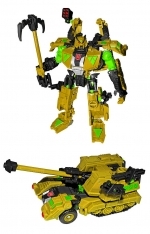 As a reminder, you can use the same login you had in the Transformers' Collector's Club store. November 2017 update 2 - Transformers Collectors' Club Clearance Sale! Our Final Clearance Sale has now gone to 70% off. Anyone can order these items from the TCC store. Since the sale started, 125 items are now sold out. Don't wait too long! This is a "Going Out of Business" sale you see in brick and mortar stores. Approximately every week, the discount will increase 10% until we get to 90% off before the end of the year. Some items only have a quantity of 2 or 3 and are very limited. Some items have a quantity of several hundred. It's up to you to decide the price you want to pay. 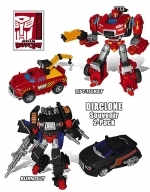 November 2017 update 1 - Transformers Collectors' Club Clearance Sale! Our Final Clearance Sale has now gone to 60% off. Anyone can order these items from the TCC store. Since the sale started, 115 items are now sold out. Don't wait too long! October 2017 update 2 - Transformers Collectors' Club Clearance Sale! The Final Clearance Sale has now gone to 30% off. Anyone can order these items from the TCC store. Since the sale started, 53 items are now sold out. Don't wait too long! October 2017 update 1 - Transformers Collectors' Club Clearance Sale! The Final Clearance Sale has now gone to 20% off. Anyone can order these items. This is a "Going Out of Business" style sale that you see in brick and mortar stores. 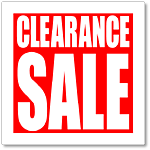 All Sales are Final and there are no returns or adjustments for this Clearance Sale. If you wait too long for the price to drop, the items may be gone. If you buy too early, you may not get the lowest price. We will not be making any price adjustments and please do not email or call us with an offer for these pieces. We have gone through everything in the warehouse and we believe that what is online is the last of everything. However, we might stumble onto a few more items once all of the pieces are removed from their bins. Visit the club store before all are gone! Again, there are no returns or exchanges and ALL SALES ARE FINAL. August 2017 update 2 - Transformers Collectors' Club Summer Sale Items! 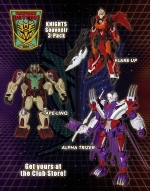 Hey Transformers Fans... here are the New items on sale! Check out the low prices! We will be adding new archived items (as we continue to go through our items) to each sale until all pieces are gone. Archived items are very limited quantities. These are the final pieces. All items are Sold As Is and All Sales Are Final. Archived items can be found in the FEATURED section online in the store. If you have not been a member or have not been a member for several years, just put this store account item in your cart and you can set up an account that will let you purchase all former TCC items until we run out! Visit the club store before all are gone! August 2017 update 1 - Transformers Collectors' Club Summer Sale Items! 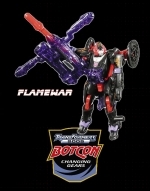 Hello former TCC Members... We have added another summer sale with both club and BotCon show exclusive items. Here are the New items on sale... Check out the low prices! Check out these sale items at the club store before all are gone! July 2017 update - Transformers Collectors' Club Summer Sale Items! May 2017 update - Transformers Collectors' Club May Sale Items! Get these sale items at the club store before all are gone! April 2017 update - Transformers FSS 5.0 Final Installment Payment! 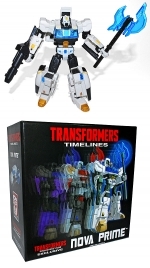 On Monday, May 1st, we will bill the final installment for the last Transformers FSS figures. Please make sure there is money in your account and that the card information is correct. Also, if you have moved recently, please update your shipping information. All changes should be done before Monday. 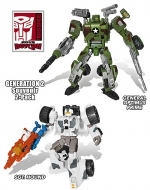 Please log into the TFSS 5.0 page to make updates to your account. March 2017 update 3 - Transformers FSS 5.0 Second Installment Payment! If you are making installment payments for the TFSS 5.0, this is your update that the next payment will be processed on Monday, April 3rd. 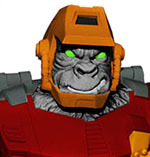 Please log into the TFSS 5.0 page by Sunday night and make sure that your credit card information is correct, so that you won't have any problems with your next shipment from the Transformers Figure Subscription Service. March 2017 update 2 - Transformers FSS 5.0 March Shipment Update! Believe it or not... the container is FINALLY here! We will be preparing your first of three shipments this week, so we need you to log in and verify your address on file by 5 pm on Tuesday March 14th. We have packed this final version in sets of two, so you will only receive 3 shipments instead of 6. Also, for those of you on the installment payment plan, the billing dates will be April 3rd and May 1st. Please make sure your CC# on file is current and correct. March 2017 update 1 - Transformers Collectors' Club March Sales! Check out all these sale items at the club store before all are gone! Feb. 2017 update 2 - Transformers FSS 5.0 Shipment Update! We just found out that the ship did not sail before Chinese New Year with the TCC FSS 5.0 figures aboard. It was delayed over 3 weeks and was now scheduled to leave Hong Kong on Saturday Feb 11th. With everyone (in China) out on holiday for CNY, we were not informed of this until yesterday. This puts the figures here around the first of March and we will get the first shipment out to you as soon as we can. I will keep you advised when the container arrives here. We apologize for the continual delay on this set. Feb. 2017 update 1 - Transformers Collectors' Club Valentine's Sale! Hello former TCC Members... We have started our sales for the year. These will continue until everything is gone. We do have some items that will go on sale that you have never been able to purchase in singles from us. Below is just the tip of the iceberg so check it out at the club store. Archived/older pieces. THESE ITEMS ARE VERY LIMTED AND SOLD AS IS. WE DO NOT HAVE PARTS OR REPLACEMENTS FOR THESE ITEMS. Disclaimer listed on each item. Also, look for some Convention/Souvenir Archived Items with Quantities that are 10 or Under! Check out the club store before all are gone!